Roasted butternut squash is one of my favorite foods. And hummus is another of my favorite foods. 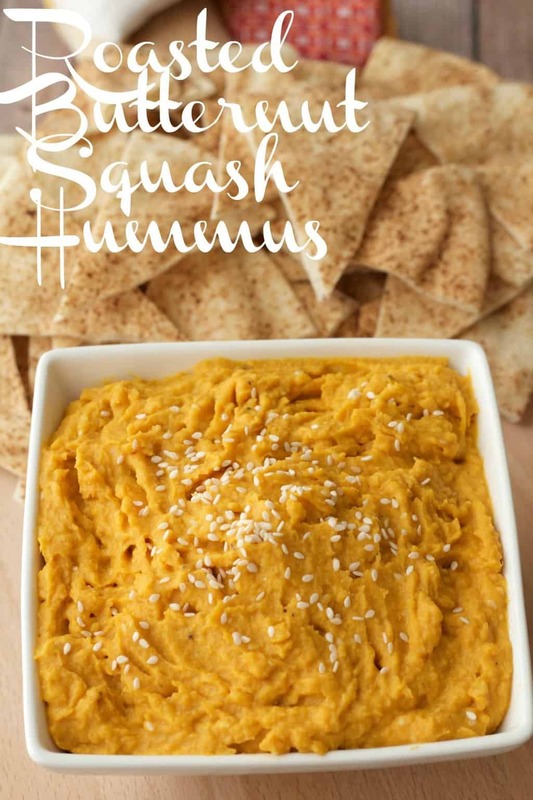 So a roasted butternut squash hummus? Is heaven! 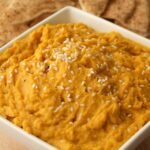 This healthy hearty butternut squash hummus makes a fabulous dip for flat breads or fresh raw veggies, or use it as a healthy spread. 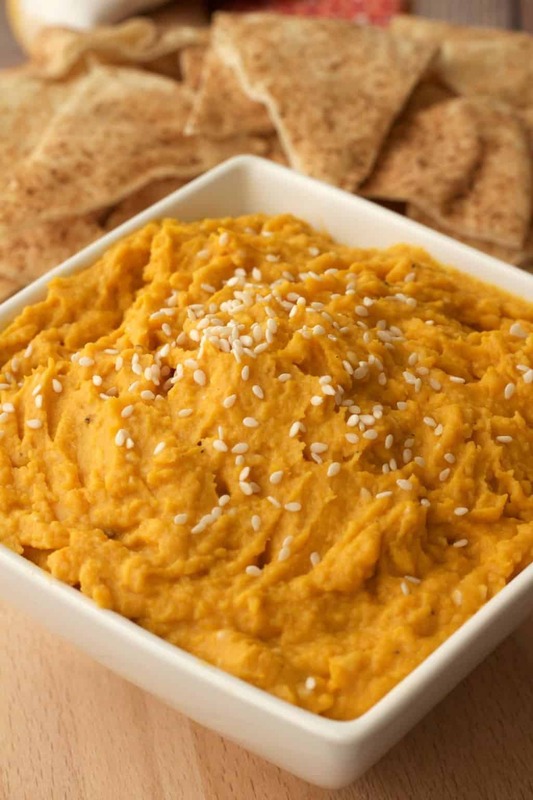 Serve it alongside rice or just eat it as it is, like a butternut squash hummus mash! It’s super easy to make, the hardest part of it (which isn’t hard at all) is roasting the butternut squash. 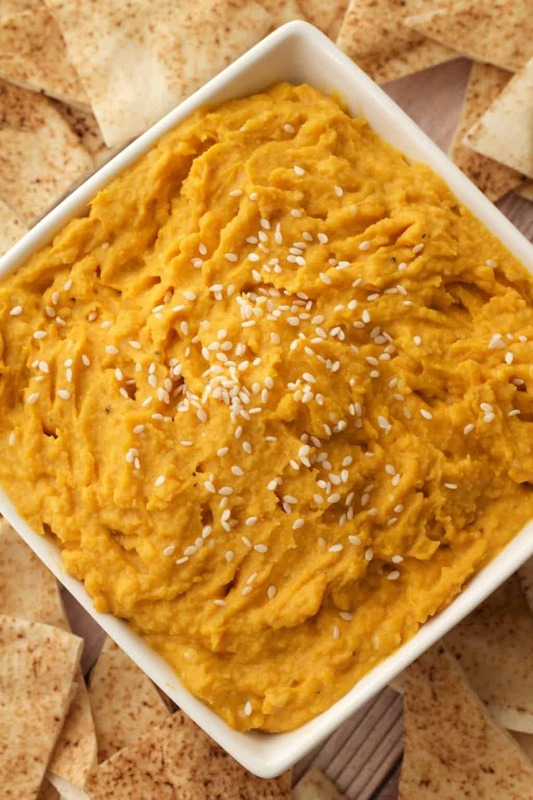 Once that’s done, you’re 5 minutes away from the creamiest dreamiest hummus. 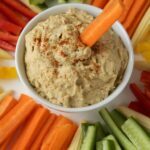 I wanted to go for a bit of extra texture in this hummus so along with the tahini I added in some whole sesame seeds. It worked out great! 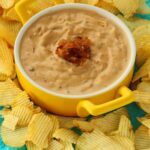 It’s smooth creamy hummus, but with a bit of crunch/texture too. And then you definitely want to sprinkle some more sesame seeds over the top. That’s just common sense really! 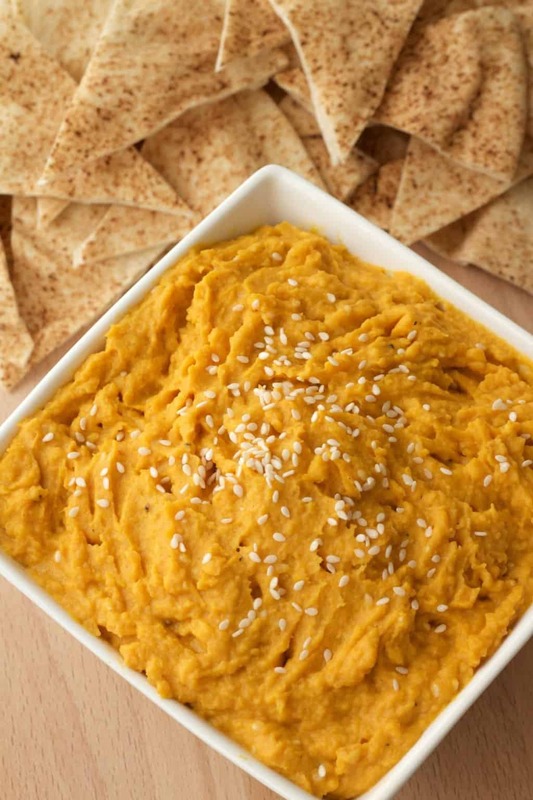 And then if you love hummus generally….then you’re going to want to see our other awesome hummus recipes, like our spicy hummus, pumpkin hummus and roasted garlic hummus! And for really inspiring ways to use butternut squash, check out our stuffed roasted butternut, cheesy butternut and sundried tomato pasta bake, butternut squash curry bowls and roasted butternut green curry soup just to name just a few. 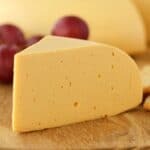 This recipe is best when fresh, but will last a few days when kept covered in the refrigerator. 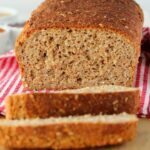 So let me know what you think of this recipe! And if you have any questions, post them down below. 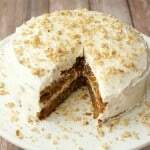 If you make this recipe, rate it and let us know how it turned out. Tag us #lovingitvegan on instagram so we can see what you’re cooking up lately! 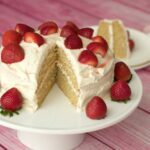 And if you haven’t already – subscribe to our mailing list – you’ll get a free ebook containing 10 awesome recipes, and you’ll stay updated on all our latest recipe postings. 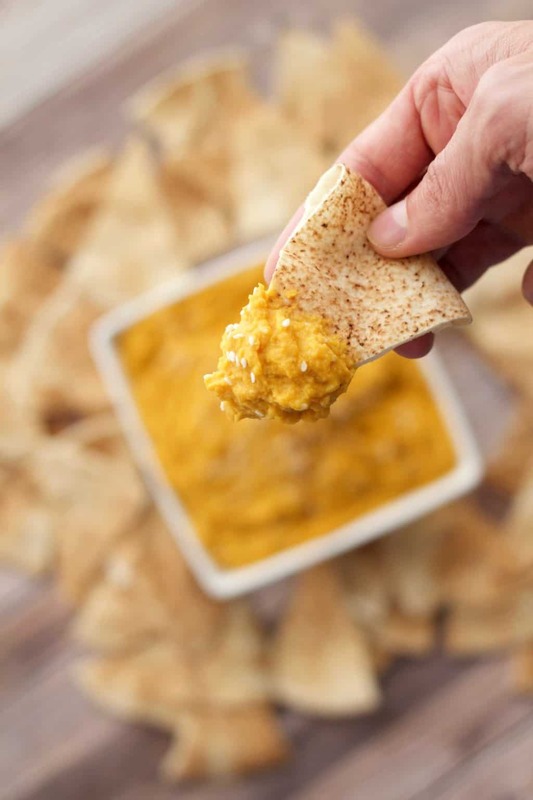 Deliciously textured, creamy butternut squash hummus. 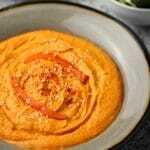 This veggie-packed healthy hummus is wonderful as a dip for flat breads or raw vegetables. Vegan and Gluten-Free. Peel and slice the butternut. 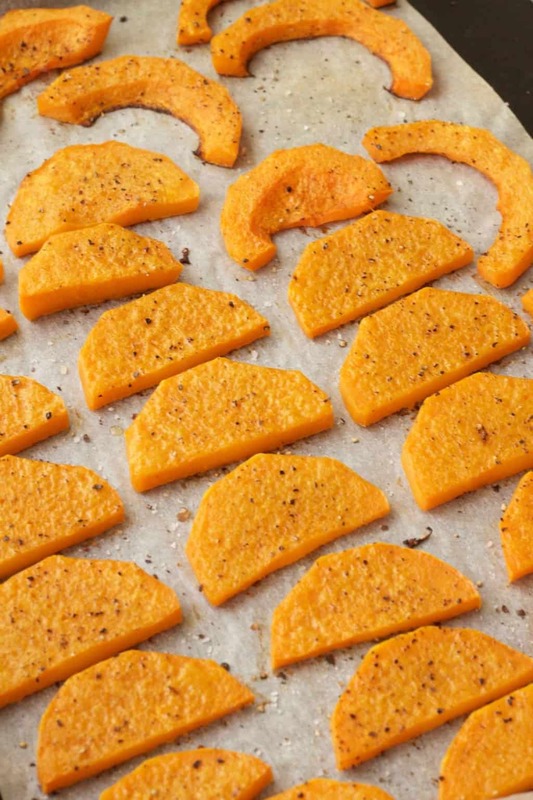 Then place the butternut slices onto a parchment lined baking tray. Brush with sesame oil and sprinkle with sea salt and black pepper. Place into the oven and bake for around 30-35 minutes until soft and cooked. When the butternut is cooked, remove from the oven and allow to cool for a few minutes. 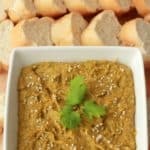 Then add the butternut to a food processor along with the chickpeas, tahini, garlic and sesame seeds and process until smooth. 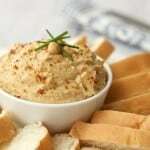 Serve with flat breads or raw veggies as a snack or appetizer, or serve with rice and salad as a main course. 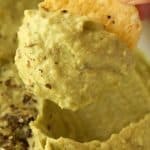 Delicious and easy hummus recipe. My guests loved it! Fantastic Tina! Thanks for posting!